Cairo-based direct-selling distribution platform has raised $800,000 in a seed funding round, the startup announced today in a statement to MENAbytes, adding that the investment was co-led by two of the country’s leading VCs Algebra Ventures and Endure Capital, with participation from 500 Startups, Flat6Labs, and some angel investors. Founded in 2017 by Mohamed Abdulaziz, Ahmed Sheikha, and Mahmoud Refaay who come with extensive experience in FMCGs, direct selling, and distribution management, Brimore helps small local manufacturers sell their products directly to consumers through its network of freelance sales agents. It uses an Avon-like model to incentivize these sales agents who could consume the products themselves, sell it to their friends, relatives and neighbors, or even put them up for sale in the small stores in their neighborhoods. It is an ingenious idea which on one side is empowering manufacturers to reach consumers they previously had no access to for different reasons and on the other side enabling these freelance distributors or sales agents, majority of which are women, make some extra money by selling to people they already know. The agents can register with Brimore through its website or different other channels including WhatsApp and can start ordering products after their registration is confirmed using its mobile app. The startup currently works with over 20 local manufacturers selling products across different categories including beauty, perfumes, home care, F&B, textiles, electrical appliances, mobile phone accessories, and even dry food. Perfumes currently, in terms of units sold, is the best-selling category on their platform, Ahmed Sheikha, the co-founder and Chief Business Officer of Brimore told MENAbytes. The startup is facilitating the entire process of sourcing products from manufacturers to getting them in the hand of these sales agents, which includes warehousing and shipment (has outsourced these to third parties). The agents sell the products by charging pre-defined margins in most of the cases. Brimore currently has over 5,000 distributors all across Egypt with 40% of them in Upper Egypt. Brimore was part of the Flat6labs Cairo accelerator in December last year and is the first startup to secure an investment before demo day. 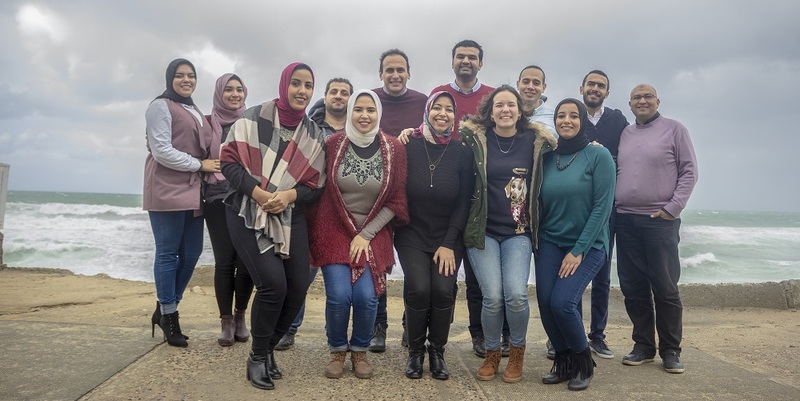 The startup that currently has a team of 17 employees based in Cairo and Alexandria plans to use the investment to build technology for manufacturer side of the platform, further improve their tech for the distributors/sales agents, and expand their team.